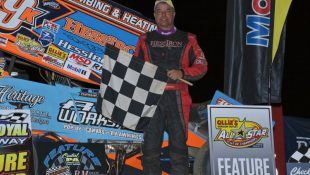 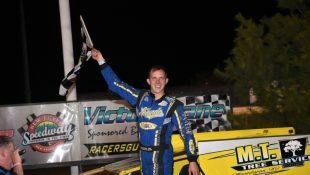 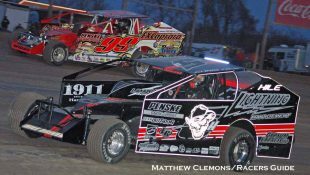 Flach ‘Rockets’ to Albany-Saratoga Victory Lane :Racers Guide – The Web's #1 Racers' Online Directory! 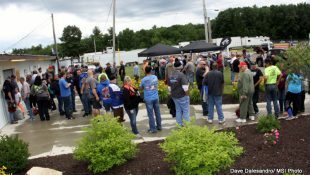 MALTA, NY- August 12, 2017- John F. Kennedy once stated that things do not happen; they are, instead, made to happen. 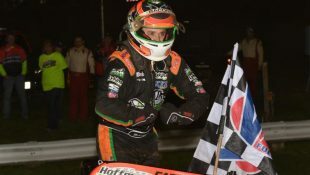 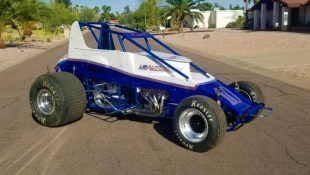 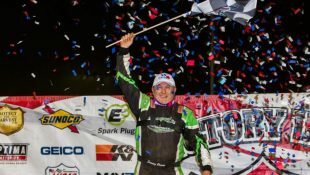 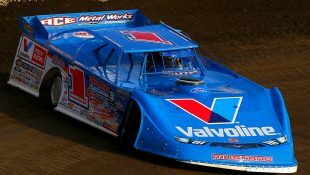 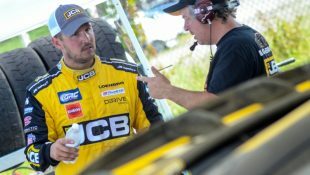 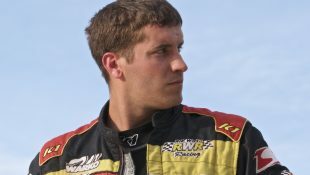 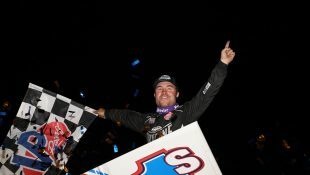 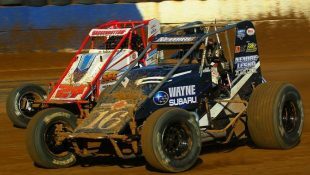 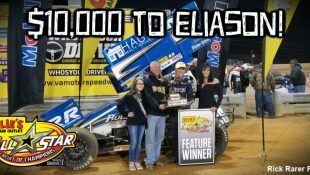 After a roller-coaster road trip that saw more bad luck than good earlier in the week with the Super DIRTcar Series at Ransomville [Speedway in Ransomville, N.Y.] and Merrittville [Speedway in Thorold, Ontario], Ravena, N.Y. native Keith Flach needed something to happen; something had to change. 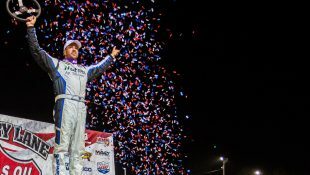 While he could have waited around like a down-on-his luck trader at a bus stop on Wall Street, the young driver of the ever-familiar No. 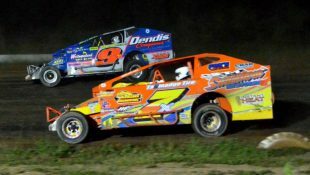 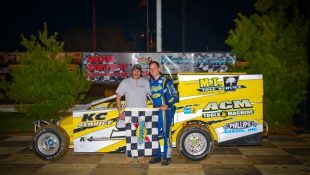 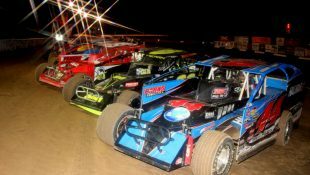 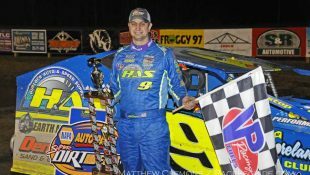 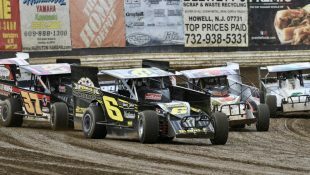 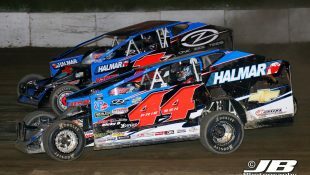 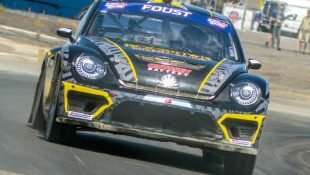 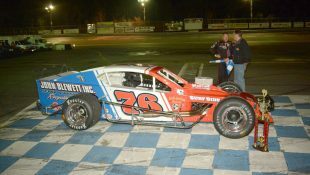 43 Flach sponsored entry decided to take matters into his own hands as he stormed from the middle of the field to win the 35-lap DIRTcar modified feature Friday night at the famed Malta, N.Y., oval. 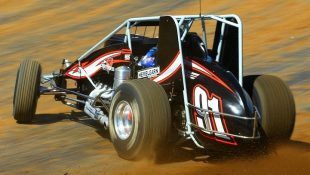 The ‘Ravena Rocket’ looked every bit as much as his moniker states from the onset of the evening. 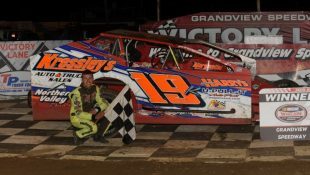 Without a doubt, his Bicknell chassis was more than dialed-in and that fact presented itself rather bluntly with a convincing victory in his heat race earlier in the night. 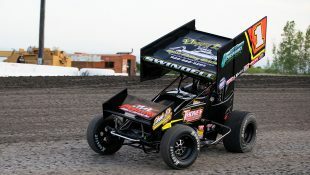 Solid is an understatement. 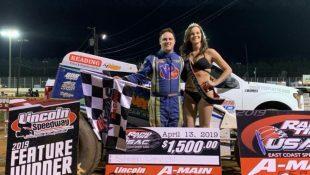 Though he seemed to be playing the role of ‘sleeper’ through the opening portions of Friday night’s main event, he turned the proverbial wick up rather quickly around the midway point. 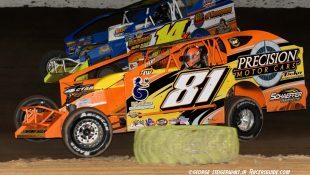 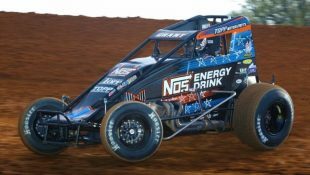 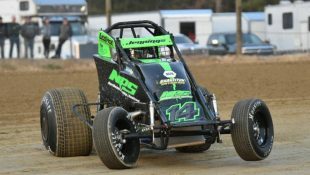 Though he’s been consistent at his Friday and Saturday night home speedways, Flach and company have still had a rather up and down season where his traveling efforts have been concerned. 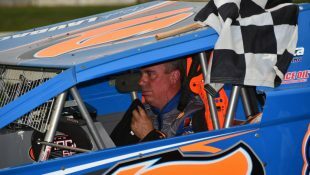 However, with his latest triumph in the latter stages of the season, a change in the wind seems to be headed in his direction. 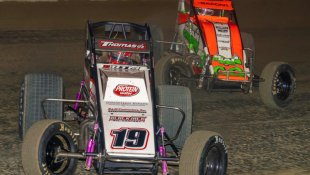 With the regular season winding down at an ever-frightful pace, the Keith Flach Racing team seems to be right where they need to be with the biggest events of the year drawing ever closer on the calendar.